This year's Lipovitan D Challenge Cup kicked off with a pair of games against Six Nations side Italy. Japan had only beaten the Azurri once previously but were confident going into the series.In front of a lively crowd of 25,824 (bolstered by a considerable number of students invited in for free by Oita prefecture) Japan rose to the occasion, comprehensively defeating Italy 34-17 in the first ever rugby test match at Oita Bank Dome. 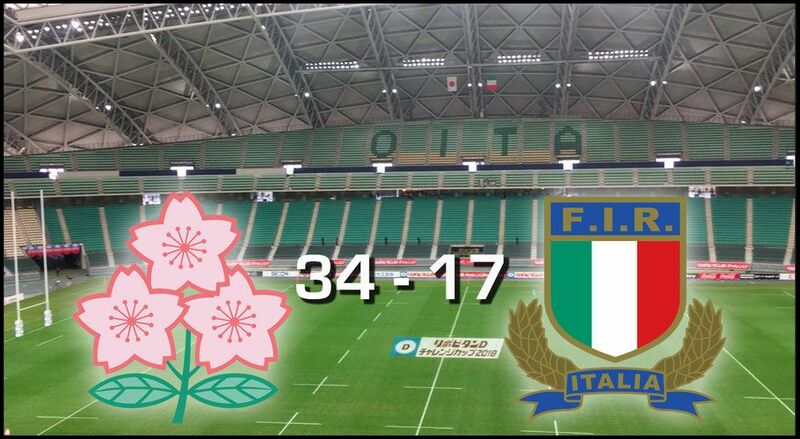 At half time the game was very much in the balance with Japan holding a slender three-point lead, 17-14. The fact that Japan doubled its score in the second half while the Italians, tiring in the humidity, only managed one penalty kick, highlighted the home side’s superior fitness and desire to win.Before the game Japan and Italy were ranked 11th and 14th in the world respectively. The Brave Blossoms should therefore have been expected to win narrowly, especially at home, but this victory was an emphatic one. While there have been false dawns before, and things have not all been plain sailing for Japan after the historic win over the Springboks at the 2015 Rugby World Cup, there was a mood of buoyant optimism in Head Coach Jamie Joseph and Captain Michael Leitch’s post-match press conference. In contrast Italy Head Coach Conor O’Shea spoke openly of his hurt at the loss, and vowed to set the record straight in Kobe next weekend, where the second and final test of this series will be played. 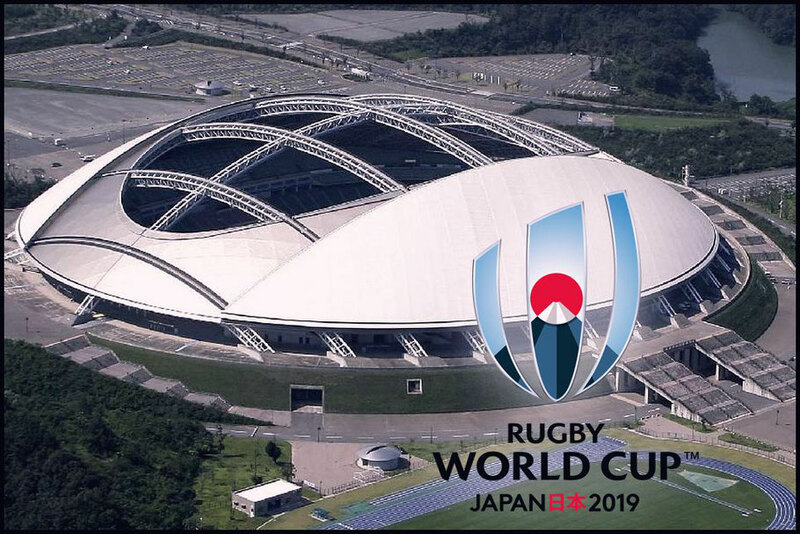 Oita Bank Dome will host three pool games and two quarterfinals in next year’s World Cup. It takes less than an hour and a half to reach Oita Station on the Sonic Express train from Kitakyushu, and during the tournament there will be free shuttle buses to the stadium. 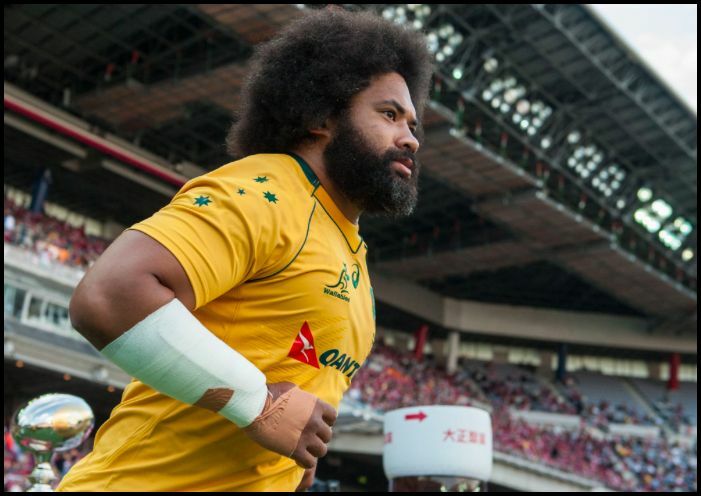 The roofed venue allows a considerable volume of support, with the sound coming in waves off the rafters, and the thought of massed Welsh choirs singing “Bread of Heaven” at their game against Fiji on Oct 9 is one to savour. New Zealand also play a pool game on Oct 2nd in Oita with the opponent yet to be decided. Australia take on Uruguay at the same venue three days later. When questioned post-game about the six / two forwards - backs split on the Italian bench, O’Shea defended it as the best balance for the humid conditions, which he felt takes more energy from the forwards. He also referred to the momentum swinging through the match, and said that Japan controlled the last 20 minutes with “scoreboard energy” in their favour. The Limerick native said it was no surprise that Japan played well, and he singled out No. 8 Amanaki Lelei Mafi as a special player. Joseph meanwhile said he was very pleased with the result, and noted that while the sides had been almost equal at half time, in the second half it was Japan’s mental strength that saw them home. To a question about which point separated the two teams he replied there was no such thing, as rugby is a continuous game for the full 80 minutes, and it was just pleasing that Japan had found ways through to the win. Joseph praised three players saying "[Left wing No. 11 Kenki] Fukuoka played well and executed some things very well before he tired in the second half but came back again. I thought [Standoff No. 10 Yu] Tamura controlled the game well and there were a couple of moments there when his decision making was outstanding. And [Flanker No. 6 Kazuki] Himeno goes from strength to strength." Leitch meanwhile said he felt that the game was won before it started. As supporting evidence he mentioned a passionate conversation that morning over breakfast between two squad members, indicating their high focus. He felt that his team’s preparation had been very good, the best so far. Speaking to NHK after the game, former Japan captain Takuro Miuchi said that the most pleasing aspect of the win was that Japan had fronted up to Italy’s physical challenge. Stability in the set piece (scrums and lineouts) produces quality ball and leads to good attacking opportunities. Japan had shown that they had created a stable platform with good continuity in open play, and he was looking forward to a bright future for this team.